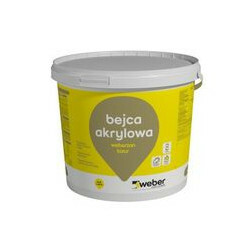 Silicone façade paint weber FZ391 is a factory-colored product, supplied in buckets, ready for use. 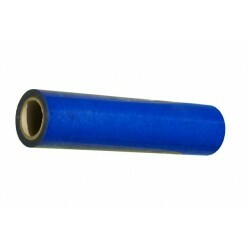 The product is based on a binder based on silicone resins. The raw materials used in the paint guarantee a ready paint coat with high durability and long-lasting protection against dirt. The paint has a coating protection against fouling with algae and fungi. whose colors are based on bright, pastel colors. 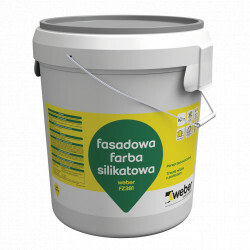 The paint is recommended for the colored finish of thermal insulation systems, in which the plastering work was carried out based on mineral expeditions. 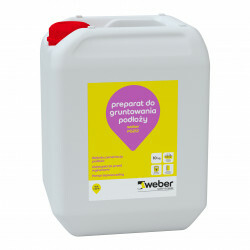 In order to reduce the risk of lime efflorescence, new mineral plasters should be primed with PG212 weber priming liquid.